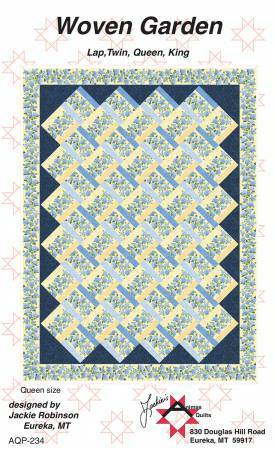 Easy piecing that creates a complicated-looking design! Pattern includes instructions for four different sizes. Finished size: Lap--54" x 68"